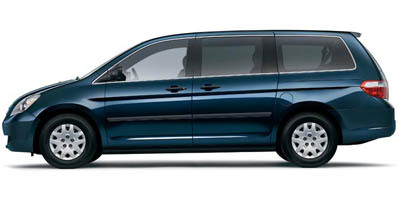 Find the latest 2006 Honda Odyssey recalls as issued by the National Highway Traffic Safety Administration (NHTSA) and Manufacturers. Remedy HONDA WILL SEND A POSTCARD TO DEALERS AND OWNERS WITH THE CORRECT NHTSA VEHICLE SAFETY HOTLINE INFORMATION AND WITH INSTRUCTIONS TO INSERT THE CARD INTO THE "REPORTING SAFETY DEFECTS" SECTION OF THE OWNER'S MANUAL. THE RECALL IS EXPECTED TO BEGIN IN EARLY AUGUST 2006. OWNERS MAY CONTACT HONDA AT 1-800-999-1009, ACURA AT 1-800-382-2238 OR HONDA MOTORCYCLES AT 1-866-784-1870. Summary ON CERTAIN PASSENGER VEHICLES AND MOTORCYCLES, THE OWNER'S MANUALS CONTAIN INCORRECT CONTACT INFORMATION FOR THE NATIONAL HIGHWAY TRAFFIC SAFETY ADMINISTRATION'S (NHTSA) VEHICLE SAFETY HOTLINE.